Tarot readings can take place in person or via email. The reading lasts fifty minutes and the cost is £80. The Beginners course is five hours long, and the times for the teaching are totally flexible; we just organise what is best between ourselves. The Academy does not teach five hours in one day as this would be too intense. The course is usually run for one hour once per week for five weeks or longer. Whatever else suits you – just let us know. The cost is £100 per hour and each course runs for five hours. You can either pay a lump sum of £500 per course up front, or you prefer you can pay £100 per hour lesson as we go along. Once you have done the Beginners Course, you may be interested to continue with the intermediate course. Cost is £100 per hour- and therefore £500 for the five hour course. ·And much more . 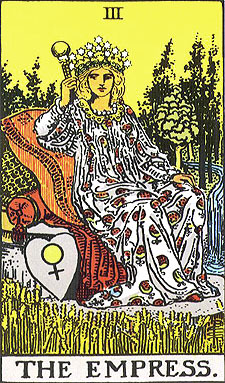 . .
Plus of course there will be plenty of practise reading a variety of Tarot spreads throughout the course. Unable to travel to London? Why not purchase my on-line beginners Tarot course. This course is in audio-video format in five parts watchable in a private setting on Youtube which you can play as often as you need. Cost £59.95. When you order the on-line course I will (within 24 hours) send you the links to access the product together with a full written explanation of all the parts. I believe the first step in becoming a great Tarot Card Reader is to have a proper understanding of the basic symbols and meanings of the cards. So, our On-line Beginners Tarot course is all about increasing your knowledge of the Tarot definitions and symbols. How the course works:The on-line Beginners’ Tarot is a five part video, with easy to follow navigation. Part One: covers the first ten cards of the Major Arcana. The Major Arcana cards are powerful cards of great significance in a reading. By the end of Part One you will know something about the history of the Tarot, different Tarot decks, the definitions of the first ten cards of the Major Arcana and have discovered your Soul card. You will also be able to practise a three card reading and have understood how to shuffle and spread the cards for a reading. Part Two: covers the remainder of the Major Arcana cards. By the end of Part Two, you will have learnt the definitions of these remaining cards of the Major Arcana, have discovered your ‘Hidden Teacher’ card, have learned about how astrology connects with Tarot and be able to practise a five card reading. 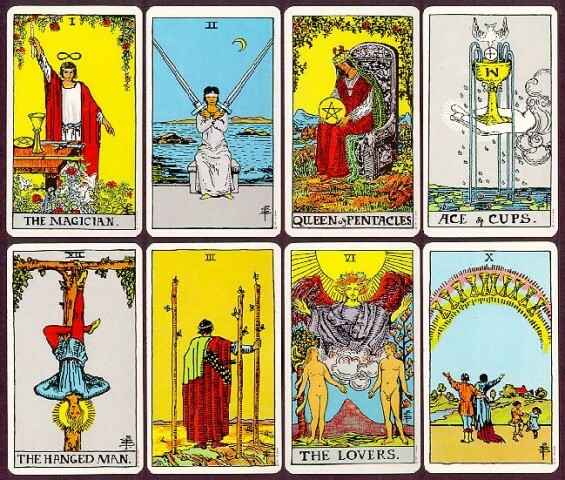 Part Three: covers an introduction to the 56 Minor Arcana cards in the Tarot. The Minor Arcana are composed of four suits: cups, swords, wands and pentacles. They signify everyday events in a client’s life. By the end of Part Three you will have learned about the first half of the Minor Arcana suits of Cups and Swords. You will also have learned about the energies of the Minor Arcana and be able to practise two full length Tarot spreads both taken from real life clients. Part Four: covers the second half of the Minor Arcana suits of Wands and Pentacles. By the end of Part Four, you will have learned the definitions of the Wands and Pentacles cards and be able to practise two further full length Tarot spreads based on real life clients. Part Five: covers the complex Court Cards of the Minor Arcana. The court cards are Page, Knight, Queen and King in each of the Minor Arcana suits. 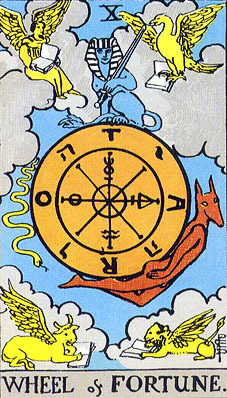 By the end of Part Five, you will know what type of person or situation each Court card might signify and how the Court cards link to astrological signs. You will also know the definitions of all the Court cards and be able to practise the famous Tarot spread ‘The Celtic Cross’. You will also discover how Tarot might link to different themes such as conflict, anger, joy, travel and health.